The waste incinerator at the PGH Gilmore sawmill, constructed 1966. 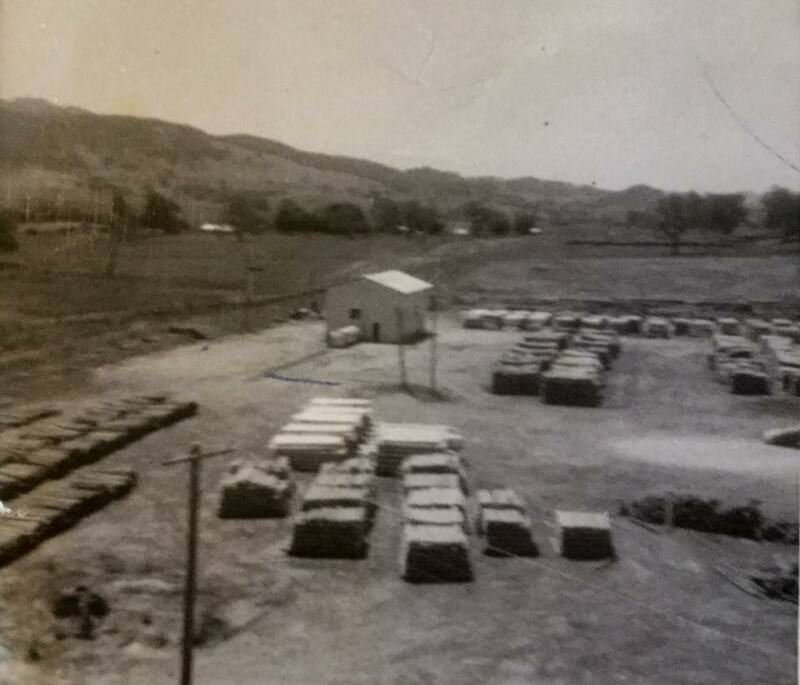 The treatment plant for chemical treated pine logs 1966. 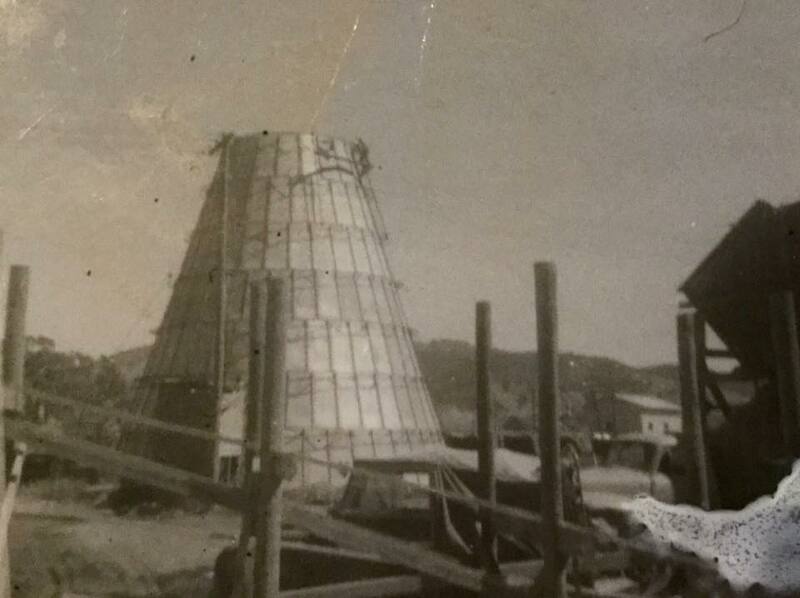 Photo from the waste incinerator under construction 1966. PGH Gilmore sawmill 1966, from the waste incinerator I was working on, all bolted together with thousands of nuts and bolts. 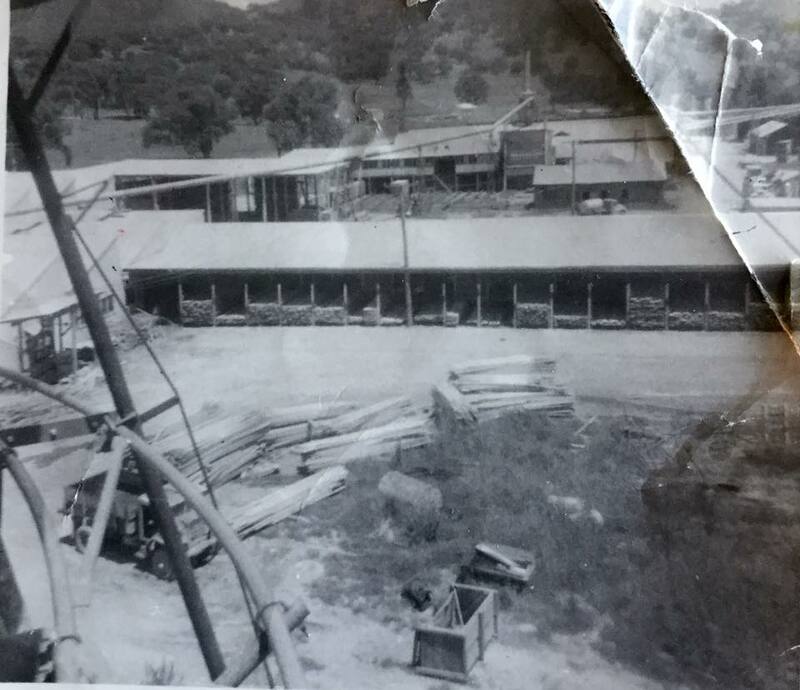 Below can be seen the green chain, where sawn timber was graded and placed in the appropriate stack.